Depth. Healing. Spiritual Growth. Relationships. These things matter to women and our goal is help feed these areas in the lives of BFBC Women. Welcome to our church and to our page! Hopefully, you can find what you are looking for here, and if you don't be sure to contact us! Spring Girls Night, (date & title) to be announced. Fun evening, with food, activities, and fellowship. A great time of encouragement just for you and time to make new friends and nurture old ones. Welcome! I'm so glad you found us! If you want to know more about me or read my Blog. Generation Mom is a great place for young moms to connect with other young moms while gaining insight from older women who have gone before you. Its a great time in the Word, fellowship, food, and more, all the while your kids are in a safe, learning environment called GenKid. $20 registration, $5 childcare each time. Meets 2nd and 4th Monday of each month, Sept - May, 9:30-11:30am. Jaime Yeabower is the GenMom Coordinator. If you want to grow in discipleship like never before, we have hard-core, no "whiners" allowed discipleship from Jan-Jan annual commitment. New groups start in January. If you are interested, contact Brandi Biesiadecki or Darah Crouch. Women's Missionary Union is a legendary avenue for women to get together and pray over our brave and selfless missionaries that we support around the world. 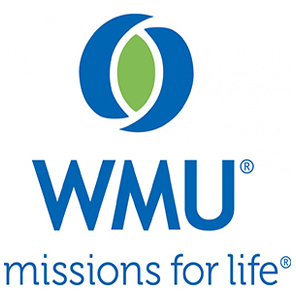 WMU meets the 1st Thursday of the following months at 1:15 p.m. in the Activities Building, excluding December, which is held in BFBC Fellowship Hall at 10:30 a.m. for program/luncheon.